It’s been a whirlwind these past few weeks and I feel like I can never quite get caught up on my To-Do List. Honestly, I’m not sure what really inspired this, dare I say it, new series of posts but I just want to write a couple, more in-depth posts about video games–RPGs, specifically. I want to talk about what I love about them; about some of my frustrations as a completionist, especially in terms of leveling systems; and then rave about the romance elements and how that’s particularly elevated video games for me. And that’s just to start! Who knows if I’ll end up writing over other topics or if I’ll just cover these three and be done. Yet it’s something I’m interested in doing, so hopefully, you enjoy reading them! I’ll kick it off with the most basic of topics, answering the question none of you asked, but you’re about to learn a ton about. So, What Do I Love About RPGs? RPGs–or Role-Playing Games–are my favorite type of video games to play. Sure, I’ve played some MMOs like Destiny or Elder Scrolls Online, but RPGs are my bread and butter, and have become my biggest hobby (since I don’t consider reading or writing hobbies, really, but more like parts of my career). I love playing them so much, I pretty much stopped watching TV and films on the regular so I’d have more time to play on my PS4. → Open, Immersive World: I love nothing more than seeing a map that feels endless and gives me the opportunity to explore for hours on end. And I will explore every inch of that map, from picking up plants to reading texts to taking pictures of the beautiful landscape. I am truly spoiled with the level of graphics game designers continually put out, making these worlds feel even more vibrant and alive. Bonus points if there are varied environments, as well, so that, when I travel to one place, it looks, feels and responds distinctly differently from where I just was. Top Three Favorites include: Skyrim, Dragon Age: Inquisition and Mass Effect: Andromeda. → Endless Side Quests: I am definitely the kind of player where I will complete every side quest that is put in front of me, help every stranger who begs for my help and you better damn be sure every companion who calls for my aid will have me dropping everything to ensure I help them solve their dark family past or personal issues. If I am enjoying an RPG, I can easily clock over 100+ hours into it before I even start considering the main quest. But for a good RPG to be compelling to me, I want there to be a lot for my character to do (because it means I get to explore more, too). I also hope that a lot of them will have a larger meaning and not just be experience boosters. Bonus points if they have a large enough impact to effect the main story, too. Top Three Favorites include: Horizon: Zero Dawn, Skyrim (sorry I’ve never actually come to kill you, Alduin, there is just too much to do) and Dragon Age: Inquisition. → Characters I Connect To: This is probably one of the KEY factors for me, in whether I’ll fall completely in love with a game or just feel “meh” towards it. Before we even get into the character’s backstory, having the chance to not only create a female character, but also customize the way she looks, is really important to me. Don’t get me wrong, I’ve played male characters who I have loved (hello, Geralt), but I’m able to identify so much more with a female character. But not only do I want to identify with her in some way, but I also want to be intrigued by her and grow with her. My life is pretty mundane. I don’t get to go on epic quests, be the Dragonborn or claim this as my favorite spot on the Citadel during my everyday life. I don’t want to play a character who is limited to what I am. But give me a mother who is trying to find her son in an apocalyptic wasteland? A girl trying to shake her status as an outcast while uncovering the biggest secret of her civilization? A commander who gives EVERYTHING to save the galaxy? Those are stories and characters I can get invested in, root for and spend hours loving. Top Three Favorites include: Mass Effect trilogy, Assassin’s Creed: Odyssey and Fallout 4. → Complex Companions: Almost just as important as the character I’m invested in is the circle of friends and enemies she surrounds herself with. I much prefer being able to play with a party, a la Dragon Age: Inquisition, as opposed to the solo play of something like Horizon: Zero Dawn. To me, it adds another element of realism that just brings my heartstrings in that much tighter. And that’s all I want, honestly: a game that pulls and tugs at my heartstrings until eventually, it shatters them until I’m sobbing at 2am in the morning while this track plays in the background. Top Three Favorites include: Wrex and Grunt from Mass Effect trilogy, literally everyone from the Dragon Age trilogy and Dogmeat (who I renamed Rocket) from Fallout 4. → Real Romance: So, it took me a while before I realized that you could partake in a romance within a game and that completely changed all of my expectations of what a good RPG *must* include. I plan on writing an entire post about this, so I won’t go into full details now, but as a hopeless romantic at heart, you’d better believe this is one of my favorite parts about RPGs. Top Three Favorites include: Romancing Commander Cullen Rutherford from Dragon Age: Inquisition, Romancing Garrus from the Mass Effect trilogy and Romancing Nick Valentine in Fallout 4 (he should have been a romance option, I will die on this hill). 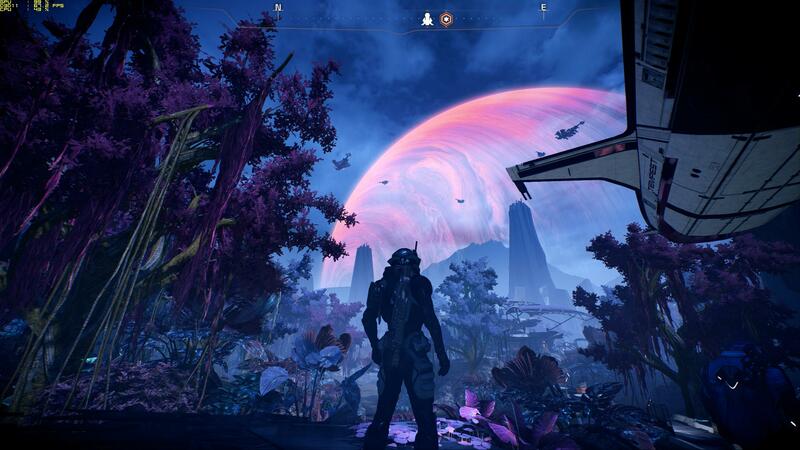 → Choices That Matter: BioWare will forever be KING at this, in my eyes. I had never played a game before where my choices from a previous game would carry over into the next installment and actually have real consequences, but that just added so much extra weight and pressure into the choices I was making (I realize there are most likely other games that I have done this before, but I’ve only really experienced it with Dragon Age and Mass Effect). I already have a weird quirk, thanks to being a writer, of making up complex backstories and emotions for the characters I play, so I already based my choices off of choices I would make in real life (usually). Add in this weight and suddenly, it’s hitting an entire different level for me and I love it. Top Three Favorites include: Mass Effect trilogy, Dragon Age trilogy and Assassin’s Creed: Odyssey. → Lore That Feels Complete: You might have noticed, but I like to feel completely and totally immersed when I’m playing a game. I don’t want to realize time has passed in the real world or that I’m even playing a game, and having an intense depth of lore certainly makes that much more possible. From magic systems to histories to personal backstories to political and religious systems, the more the game can give me, the more I’ll fall in love and probably write fanfict about it at some point. Top Three Favorites include: Witcher 3: The Wild Hunt, Skyrim and Horizon: Zero Dawn. → Impossible, Made Everyday: I don’t only play video games because I enjoy it, but also to help me escape, similar to why I read. But video games are a much different escape. I love having the choice and control to explore where I want to, help shape the story and fighting–I freaking love to hack-and-slash or panic-fire my way to victory. I love being able to climb up sheer cliffs and jump off mountains and survive. I love being able to swim into the depths of the ocean and still be able to breathe. I love seeing dragons and griffins and magical creatures while using magic to help myself survive. It’s one of the reasons I usually don’t play a lot of games set in our modern world, because I don’t want to do the things I can do here. I want to do everything I dream I can do. Top Three Favorites include: Assassin’s Creed: Odyssey, Skyrim and Fallout 4. → Diverse, Diverse, Diverse: This is something that I love, but I think the game industry is still catching up on. But I was overjoyed when Kassandra was able to be with whoever she wanted, as far as romance options went. Or how diverse the cast of Dragon Age: Inquisition was, both in terms of race, history, gender identity and sexual orientation. I will always love a RPG more if the world I’m spending 100s of hours exploring is filled with a diverse range of characters, worlds, expressions and identities, because everyone deserves to see themself as a character in a game. Top Three Favorites Include Assassin’s Creed: Odyssey, Dragon Age: Inquisition and Mass Effect. Alrighty, I think I got it all? I was not expecting this post to be as long as it was, but I guess I shouldn’t be too surprised, huh? Get me talking about something I’m passionate about and I might just talk your ear off. Pre-sequel’s the only Borderlands we haven’t played much of! The looting is so awesome, and I can’t wait for 3 in September 😀 It’s nice to have a game that works really well as co-op! I found myself nodding to every single point. 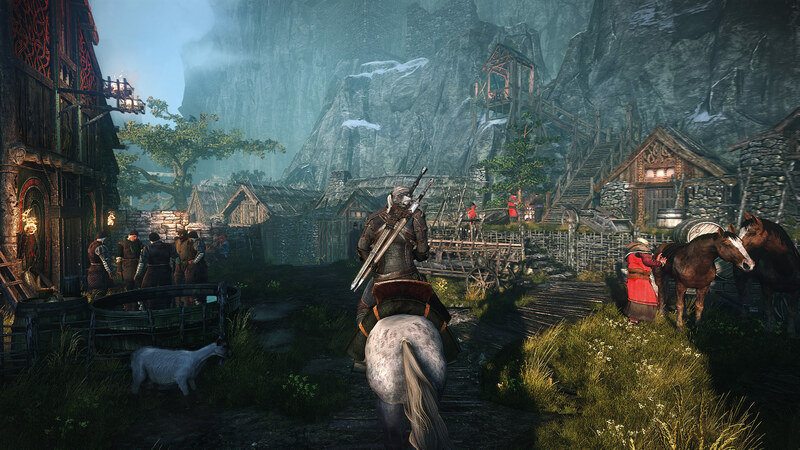 Open world RPGs are awesome! Have you played Fallout: New Vegas? I think it’s one of best RPG experience around. My only issue with it is the clunky combat and outdated graphics. I’m hoping for a remake to replay it again. In the mean time, I’m looking forward to the Outer Worlds. Honestly, based on our conversations, I’m not surprised a lot of this resonated with you! I haven’t! I got into the Fallout franchise really late, so I haven’t done it yet. But I definitely should, because I’ve heard a lot of good things about it. Outer Worlds looks really, really good!